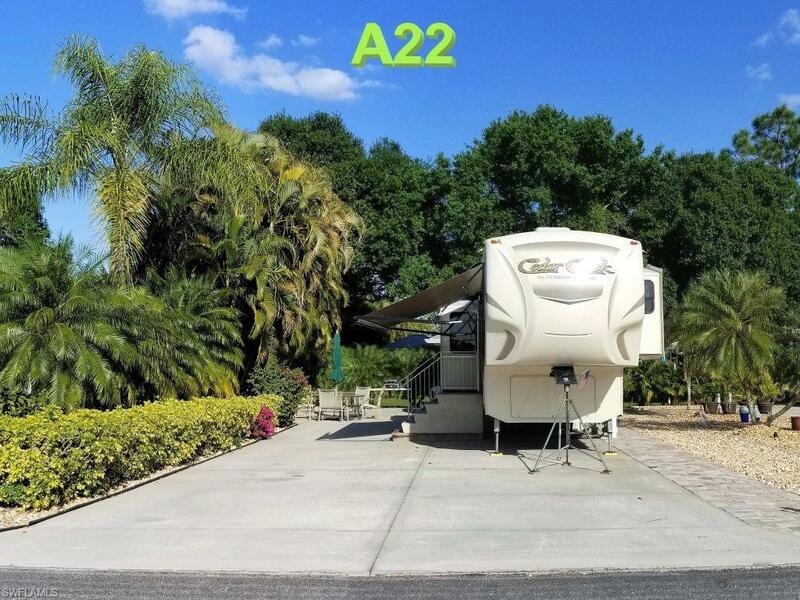 A22 - Stop searching for that perfect home for you and your motor home or 5th wheel RV! A property that is sure to fulfill all your needs. There is plenty of space for entertaining. Your RV is ideally oriented to shade the hot mid-day sun as the rear adjoins a green area for additional privacy. 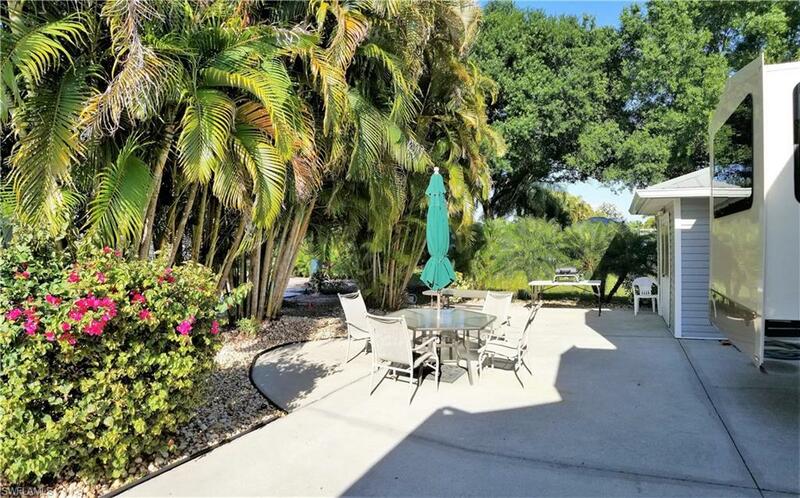 This nicely landscaped lot provides a true tropical atmosphere. The included shed boasts a water heater, washer/dryer, a toilet & shower, kitchen sink and cabinets. Border pavers give this lot a great finishing touch. 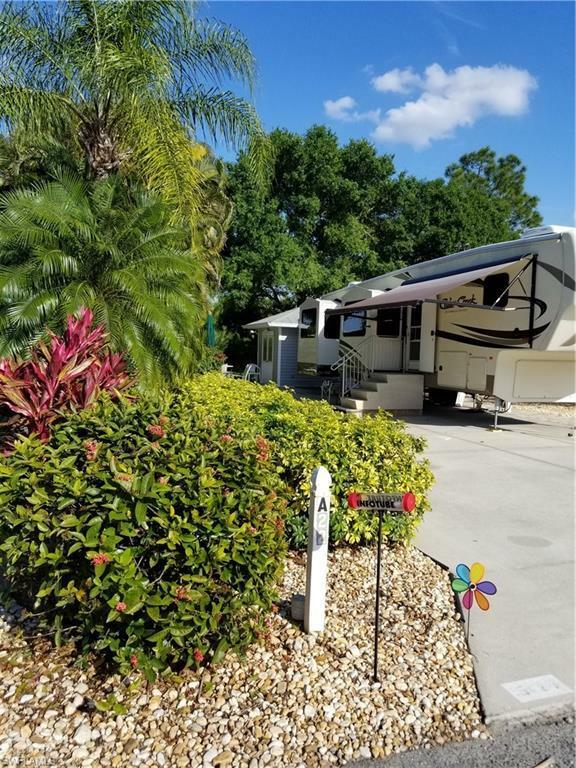 Cypress Woods RV Resort is a 5-star luxury resort with plenty of amenities including 2 pools and hot tubs, tennis, pickle ball and shuffleboard courts. The Town Center has a community room, card room and Great Room with stage. Theres also a large catering kitchen for the numerous events held throughout the year. The Welcome Center has an additional card/community room and library. Theres even a day spa and 24-hour gym! The Resort is a friendly gated community providing plenty of additional activities, such as yoga, water aerobics, and more. 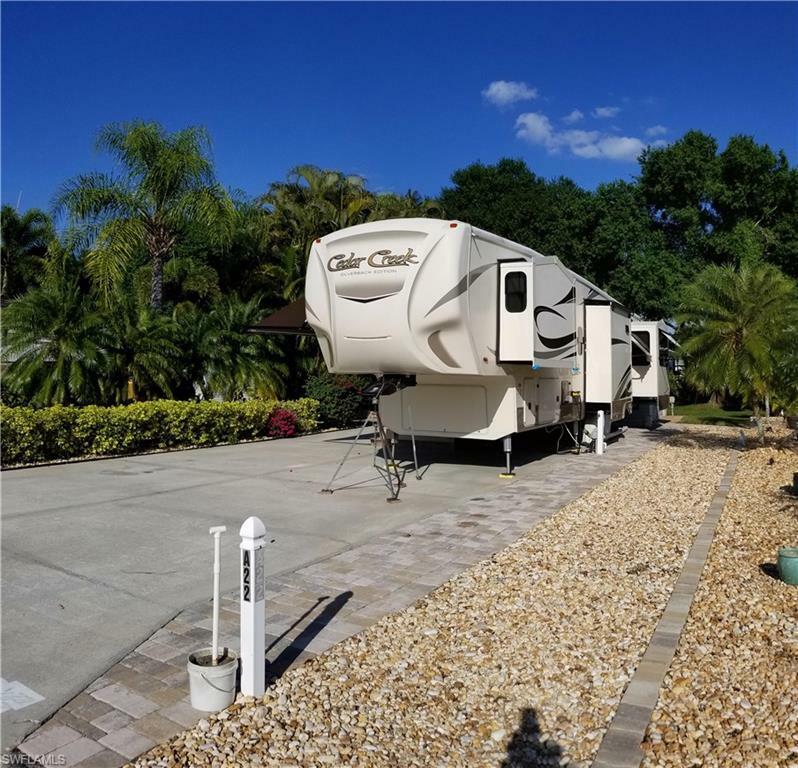 This community is conveniently located close to everything that SW Florida has to offer. Contact us today to see this property! Listing courtesy of Pat Astbury of Alliance Realty Group.